This he said during the time period when the Pentagon Papers were leaked, when the Malek Manual guided federal managers on how to get rid of unwanted employees, and when President Nixon was authorizing dirty work like the Watergate break-in. This transcription (and many others) was not released to the Public until three decades later. One is a very gifted and accomplished adult, a Nobel Prize winner who served within the inner circle of perhaps the most corrupt presidential administration in U.S. history, though he never spoke up to inform the Public. The other is a young man trying to serve his country. He becomes aware of failures in which people are actually being killed. He likely feared that his own military organization would not accept his speaking up about the failures, so he ‘blew the whistle’ to the outside world, sharing stale records via Wikileaks. How stale? The video of the 2007 Baghdad aerial attack was nearly three years old when it was leaked. The Army had given Manning clearances and access to records, and these records were accessible to who knows how many thousands around the world. The Army was so indifferent about the possible leaking of these stale records, that nothing stopped Manning from easily making digital copies on music CD’s and camera memory cards. While his action put nobody into direct danger, it did inform the Public … nearly three years after the aerial attack. When the My Lai massacre happened in March 1968, U.S. military officials were immediately aware of the massacre, as it had been fully reported by Warrant Officer Thompson. Predictably, the Army buried the story. One concerned soldier, Ron Ridenhour, quietly investigated, collecting details from fellow GI’s. When Ridenhour came home, he blew the whistle in early 1969 with letters to thirty members of Congress and other high officials. It took twenty months for the press to catch up with history, and share the details with the Public. This photograph, published on November 20, 1969, became the key image driving Public outrage. Although hundreds were killed, the massacre was eventually ‘tidied up’ by attributing it to one junior officer. Most soldiers refused to testify. Eventually, that one lieutenant was found guilty and served time. No other officers were convicted. Such is the capacity for a closed unit to hide the truth. In Kissinger’s time (and leading up to his winning the Nobel Peace Prize in 1973), we had the My Lai massacre. On March 16, 1968, as many as 500 Vietnamese civilians, mostly women, children and elderly men, were gunned down by American GI’s. One American pilot, Warrant Officer Hugh Thompson, was shocked at what he saw. While doing his job providing helicopter support, he interacted with the rogue ground units, and went so far as to question who gave the orders to shoot. He took action to get assistance for some civilians in need, then came back later to find them shot. He then took additional action to protect some schoolchildren, including flying them out of danger. At the end of the day, he reported what he saw. For these efforts, he was issued a ‘Distinguished Flying Cross’; he promptly threw it away, because the citation grossly misrepresented the events, declaring he had rescued an injured girl “from intense crossfire.” It was thirty years later before his heroics were finally recognized with a Soldier’s Medal, and a citation that more accurately read: “…for heroism above and beyond the call of duty while saving the lives of at least 10 Vietnamese civilians during the unlawful massacre of non-combatants by American forces at My Lai.” It took thirty years for this extraordinary military failure to be squarely acknowledged. On the day of the attack, US military officials in Baghdad said that the helicopters had been called in to help American troops who had been exposed to small-arms fire and rocket-propelled grenades during a raid. “There is no question that coalition forces were clearly engaged in combat operations against a hostile force,” Lt. Col. Scott Bleichwehl, a spokesman for the multinational forces in Baghdad, said at the time. But the video does not show hostile action. Instead, it begins with a group of people milling around on a street, among them, according to WikiLeaks, Noor-Eldeen and Chmagh. The pilots believe them to be insurgents, and mistake Noor-Eldeen’s camera for a weapon. They aim and fire at the group, then revel in their kills. “Look at those dead bastards,” one pilot says. “Nice,” the other responds. A wounded man can be seen crawling and the pilots impatiently hope that he will try to fire at them so that under the rules of engagement they can shoot him again. “All you gotta do is pick up a weapon,” one pilot says. A short time later a van arrives to pick up the wounded and the pilots open fire on it, wounding two children inside. “Well, it’s their fault for bring their kids into a battle,” one pilot says. At another point, an American armored vehicle arrives and appears to roll over one of the dead. “I think they just drove over a body,” one of the pilots says, chuckling a little. While Kissinger’s story may be new to some of us, we all know (and debate) how we got to Manning’s story. At the time of the aerial attack, we had been mired in Iraq for more than four years, and still had not found those alleged ‘weapons of mass destruction’. Instead, we found a lameduck president whose approval rating had steadily declined to less than half his ‘disapproval’ rating. And, we found an economy beginning to crumble, and clearly on the verge of collapse. Our larger culture had disintegrated, too. We had become obsessed with security and control: airport lines and 3-ounce containers; ‘warrantless wiretaps’ and ‘state secrets’. The level of fear and distrust between regular citizens was peaking. It was the worst of times to be ethical and, by 2007, especially in federal workplaces, it had become an open season on Whistleblowers. The lethal failure of military discipline in Baghdad was videotaped in July 2007. In that same month, FBI agents conducted gestapo-style raids into the homes of citizens, connected to the Thomas Drake Whistleblower case. Why? Because Drake had exposed waste, fraud and abuse within the security hierarchy at NSA. And we are still feeling the damages today. Some would reasonably argue that the fog of distrust in those years – practically a collective paranoia – eventually rotted the foundations of our political system to a point where real problems could no longer be addressed, let alone resolved. Where news outlets serve only power while knowingly manipulating the Public. Where we are, in short order, destroying the future, to the detriment of our own children. In Vietnam or in Iraq or in the next hellhole, war is not clean. 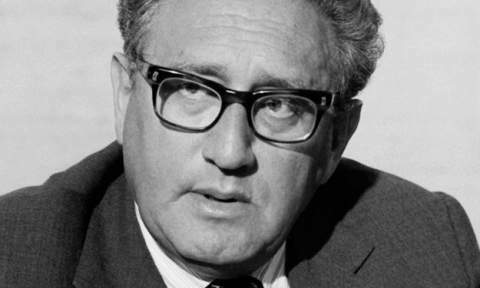 We understand it is filthy and horrific, and as Kissinger would agree, some damages are immediate, some take a little longer, and some set in years later, in illness or even in suicide or homicide. In war, rules are broken, lives are taken. In a military context, a whistleblower can be very dangerous, such as if he or she tips off the enemy about an impending attack. But, once history has happened, the main hazard of a person in the military speaking up about a past failure is the risk of embarrassment to that military unit. It is an embarrassment and yet, at the same time, it is also an opportunity for the unit to improve its performance. Clearly, the value of a later disclosure, if it is used constructively to inform the Public and prevent a repeat failure, is far greater than the cost of embarrassment. That later disclosure forms the basis for Public trust of their military; the absence of that disclosure feeds Public distrust. So, why is Manning locked up? Whistleblowers should be supported, not attacked. 4-16-2013 – Bradley Manning Update: How to Commit Espionage Without Trying!